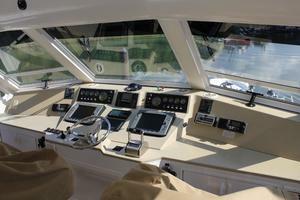 Highly desirable 60' Viking cockpit sport yacht, Naples edition, with recent full new paint job completed in July 2012 by Viking. 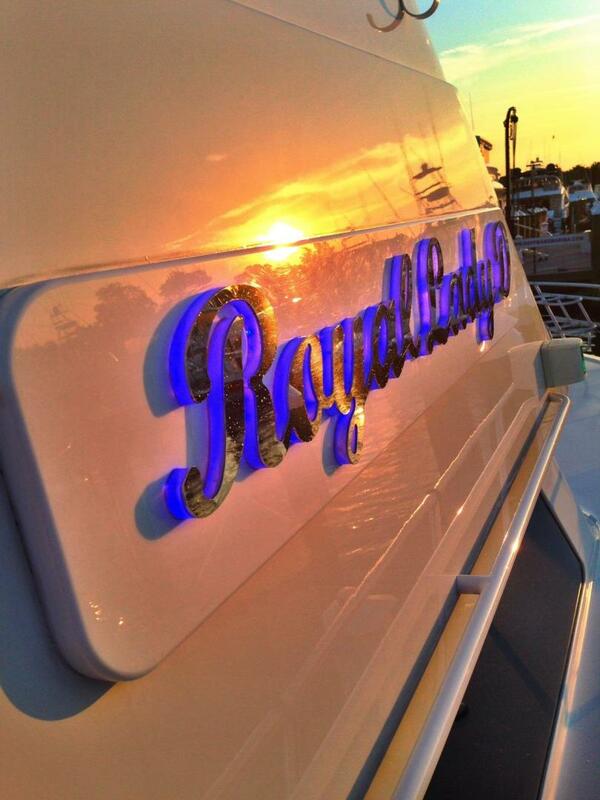 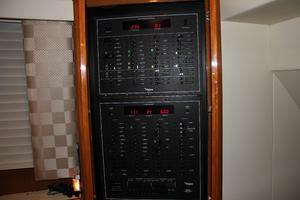 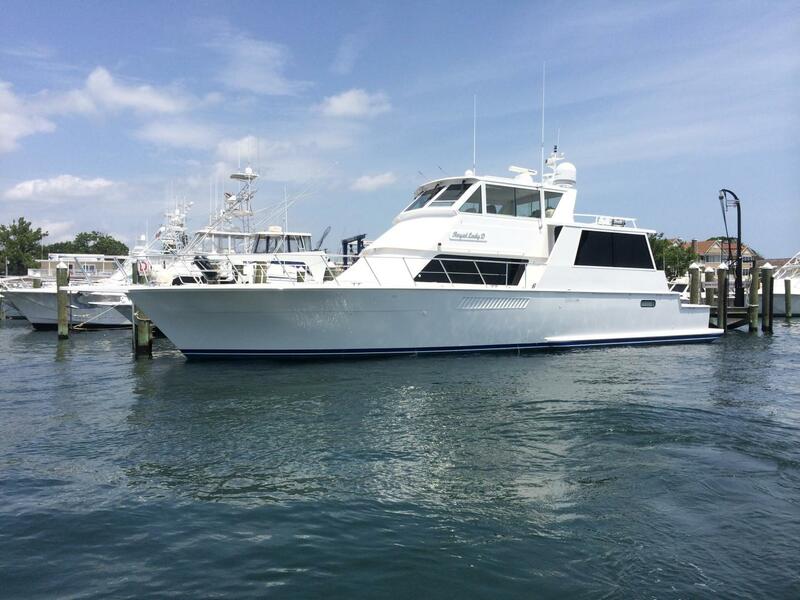 Low hours and well maintained ROYAL LADY D is a beautifully equipped Viking that is truly turn-key! 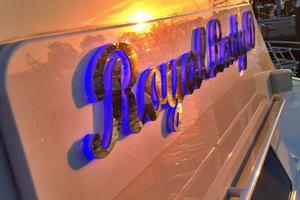 ROYAL LADY D is a beautifully equipped Viking that is truly turn-key! 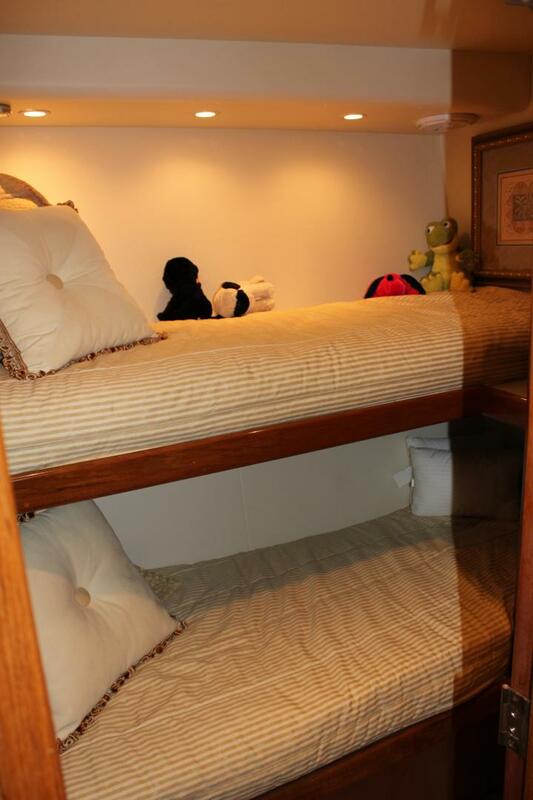 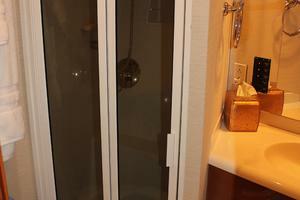 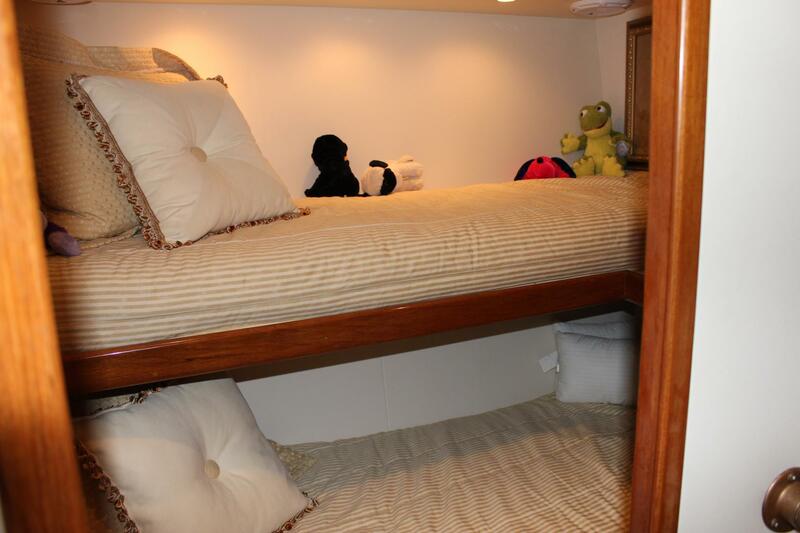 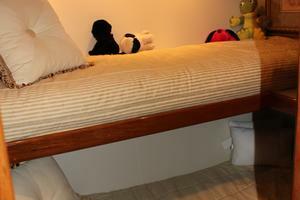 The layout features a master stateroom, VIP stateroom, and double bunk stateroom all with ensuite full heads and showers that provide comfortable arrangements for up to six guests. 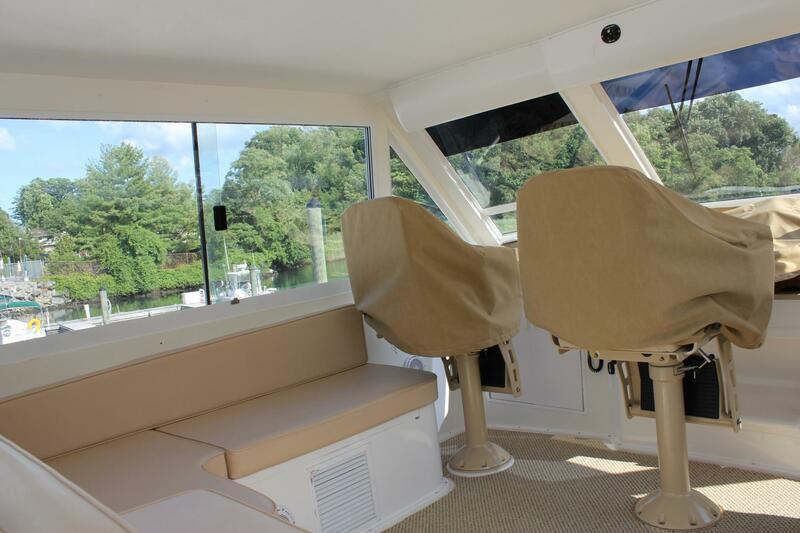 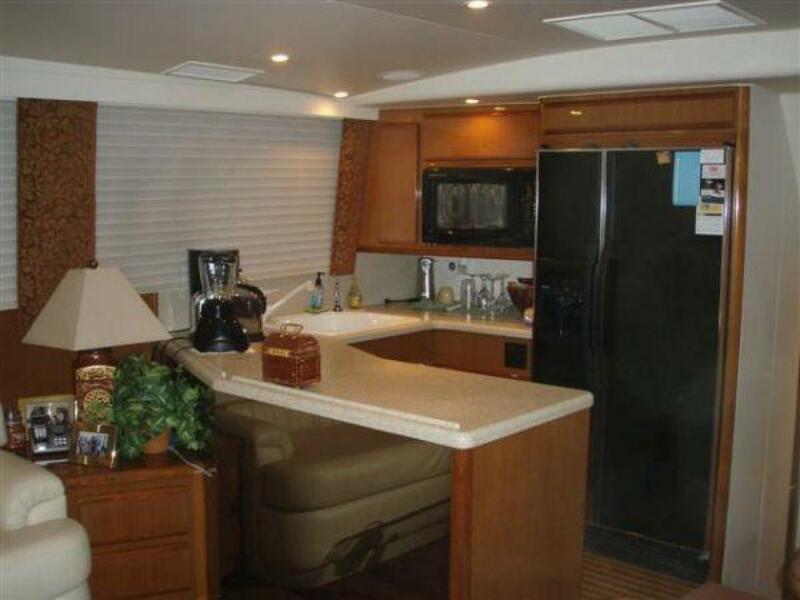 The full galley, salon, and aft deck allow for two separate entertaining areas for guests while the hard enclosed bridge allows a third area for the captain and crew. The cockpit provides easy boarding and access to docking. 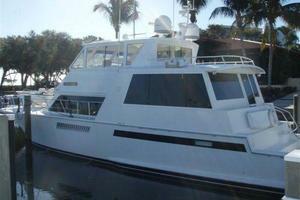 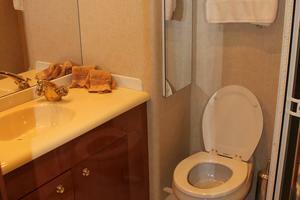 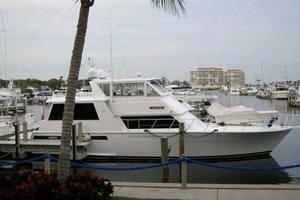 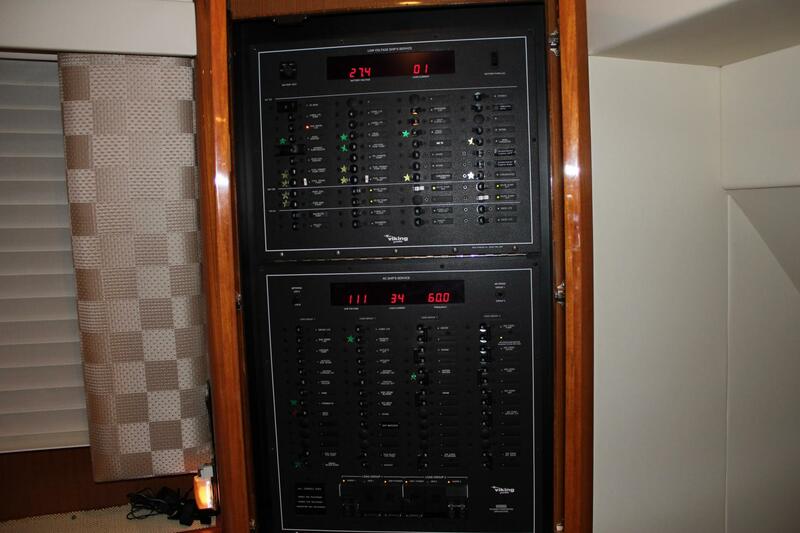 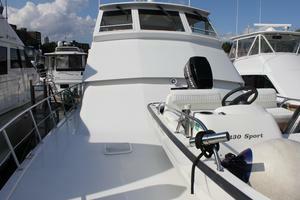 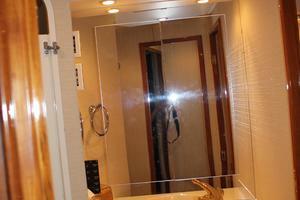 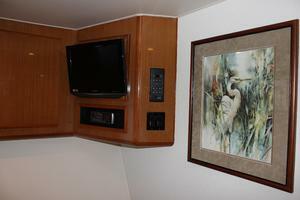 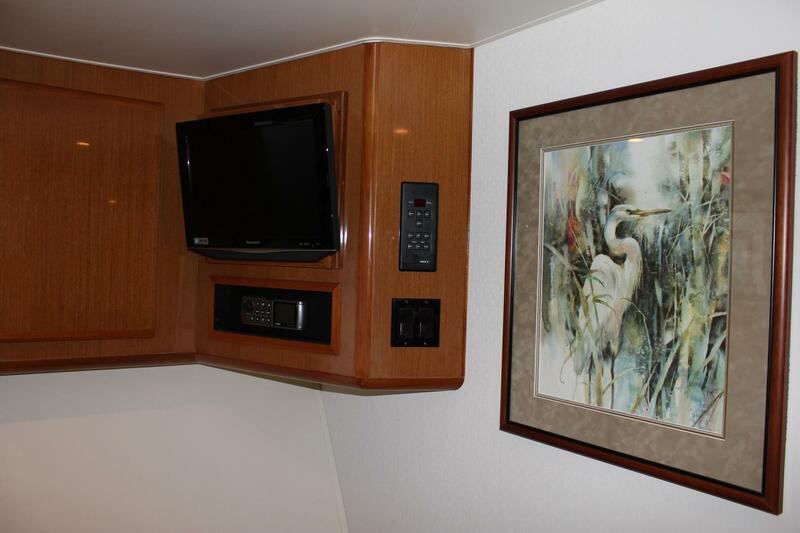 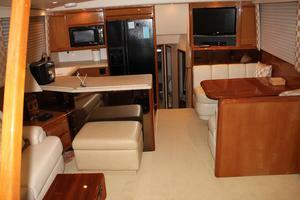 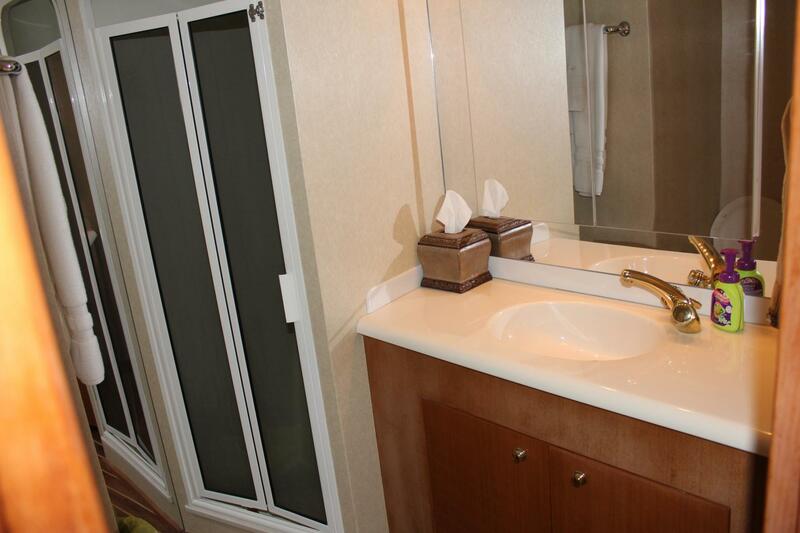 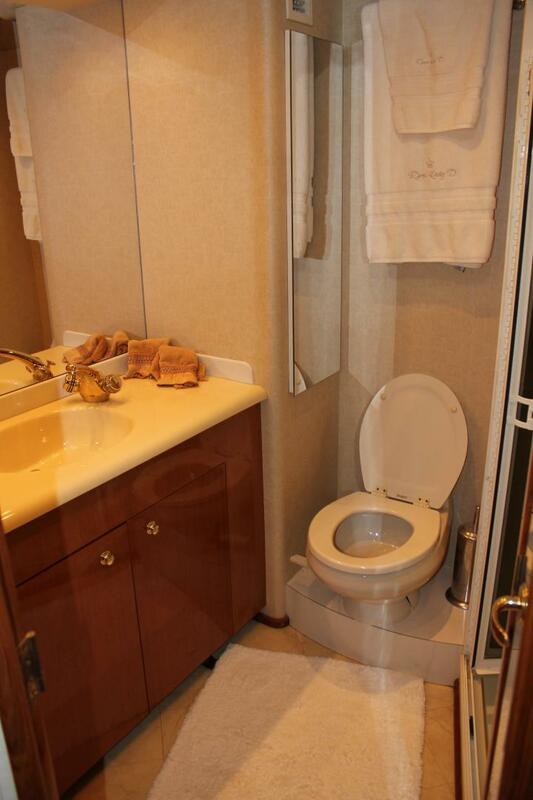 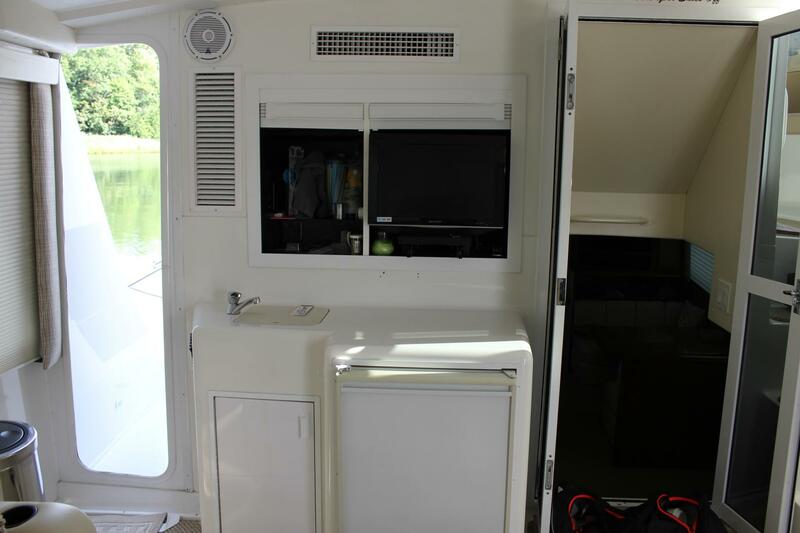 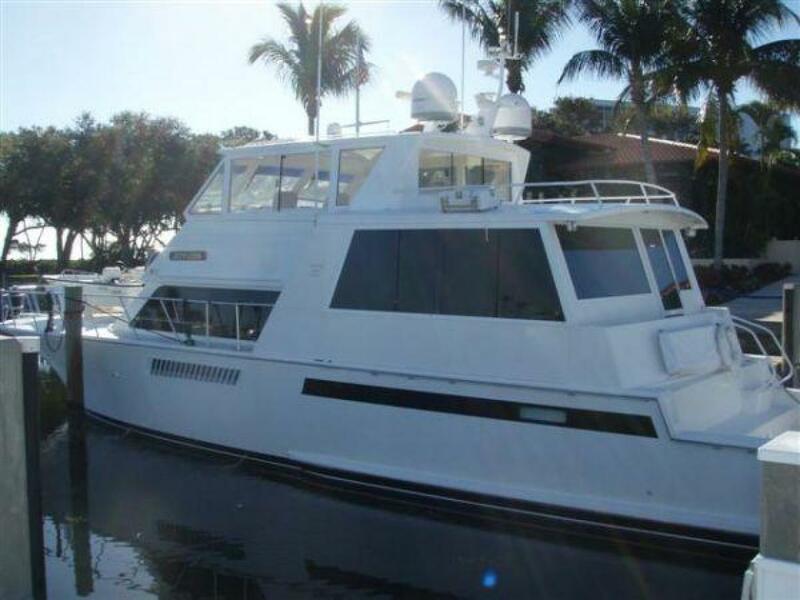 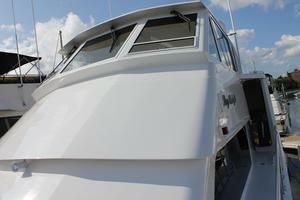 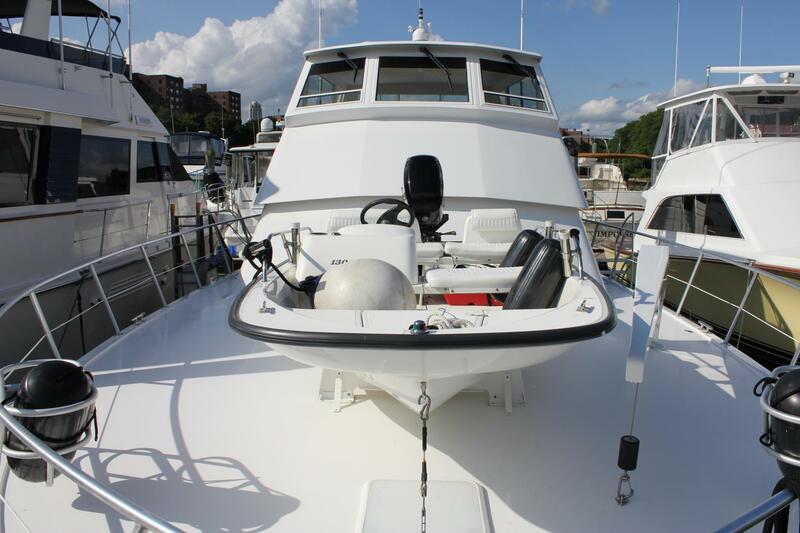 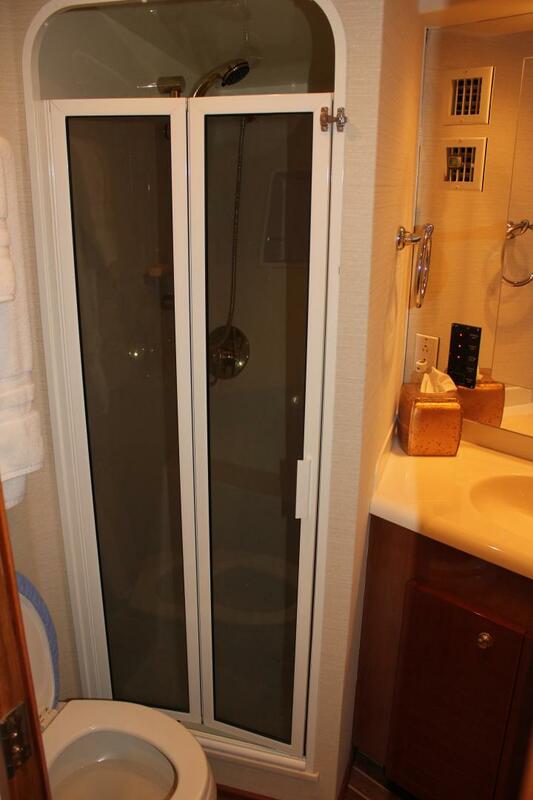 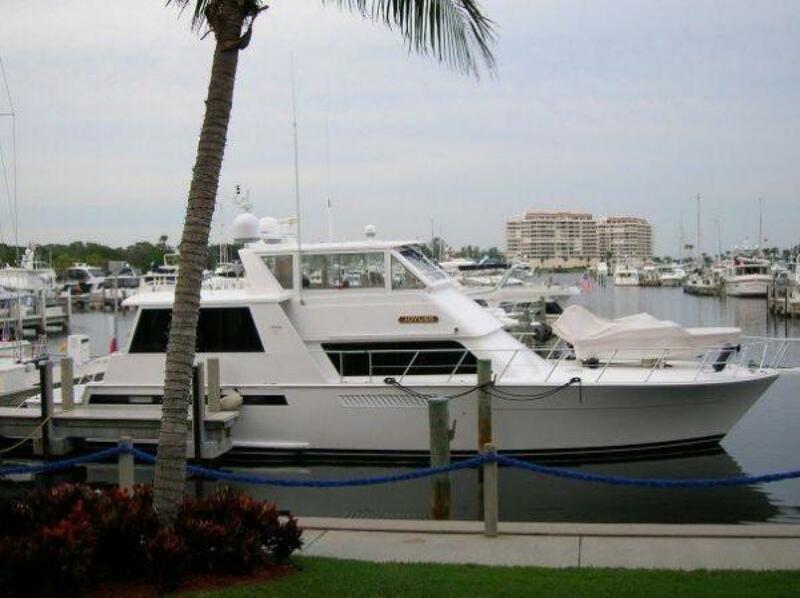 This 60' Viking is an exceptionally clean vessel! 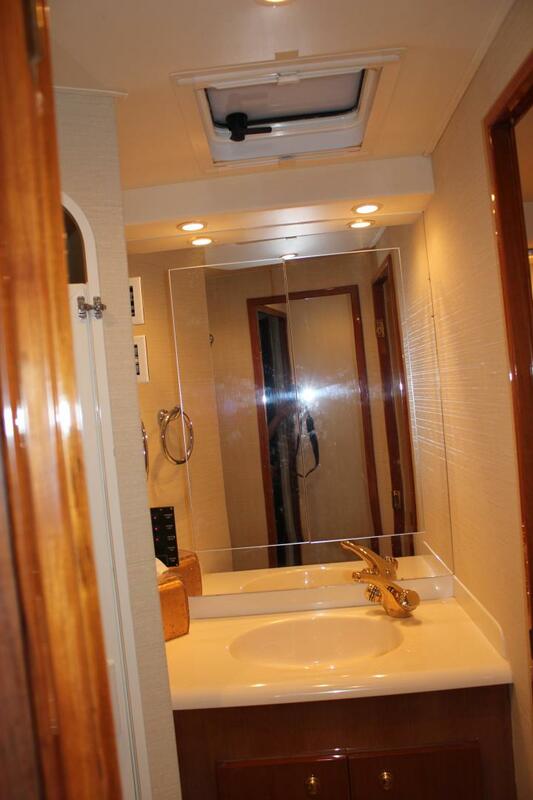 The exterior condition is a "10" and the interior is equally the same. 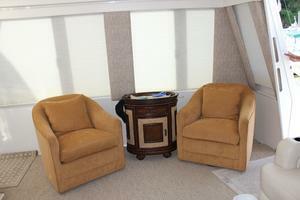 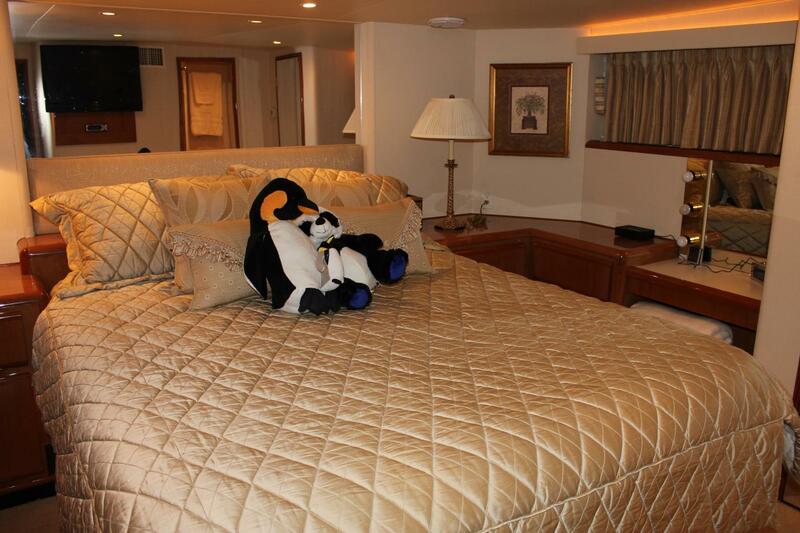 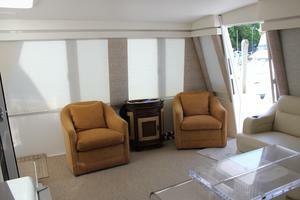 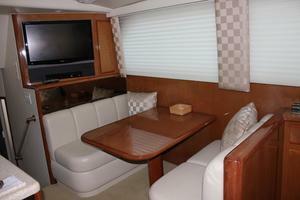 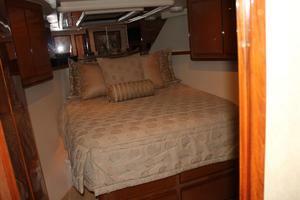 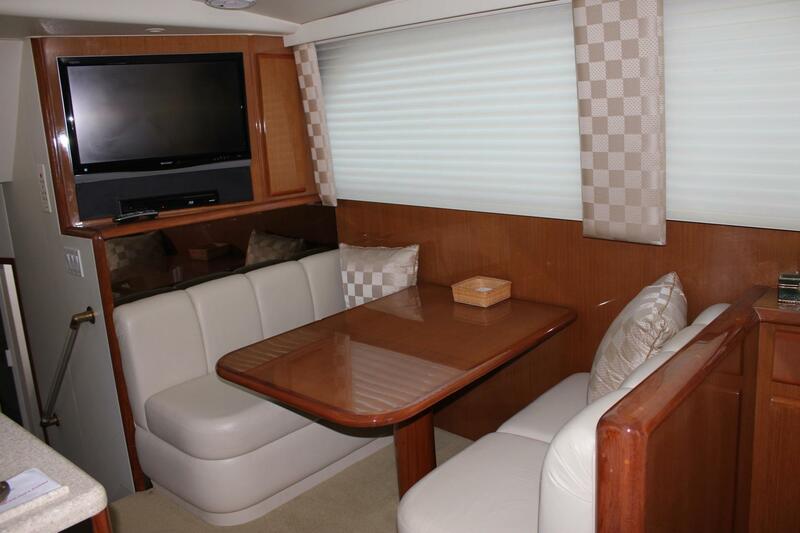 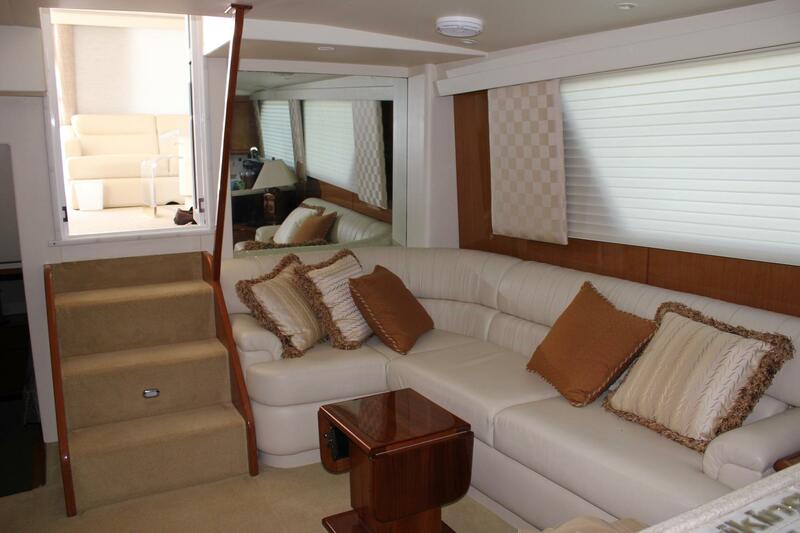 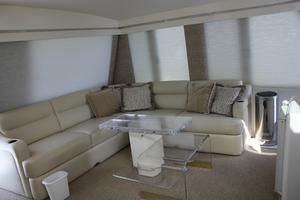 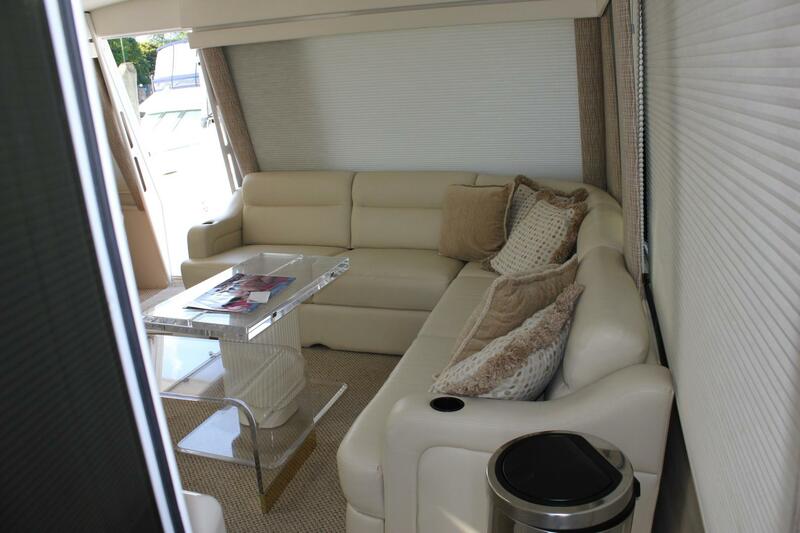 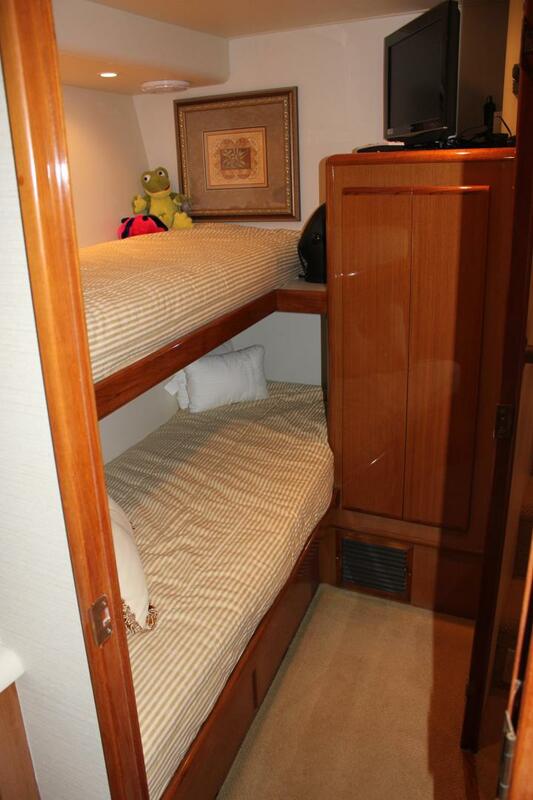 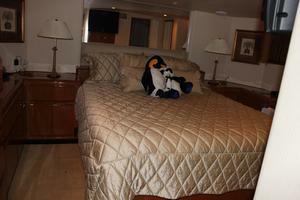 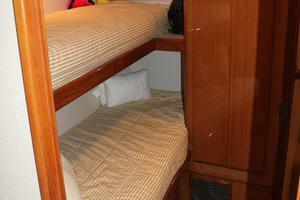 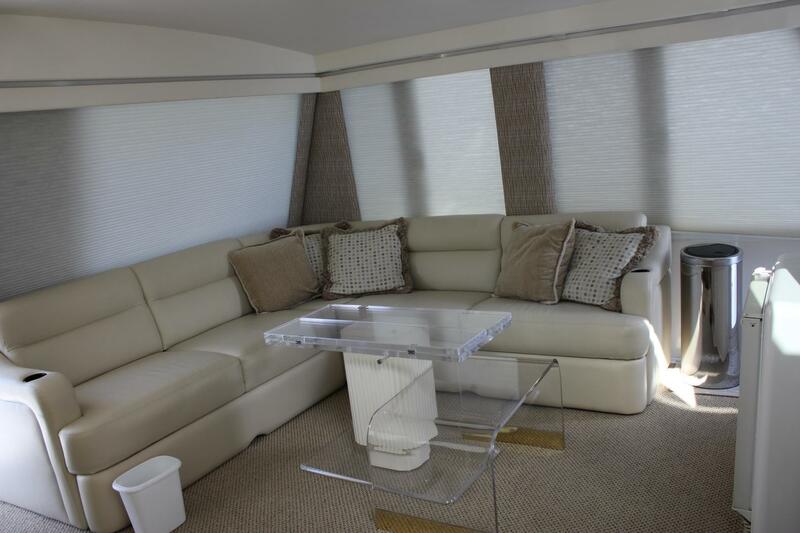 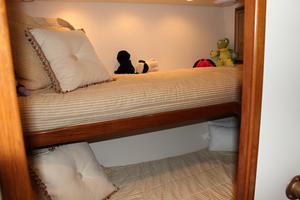 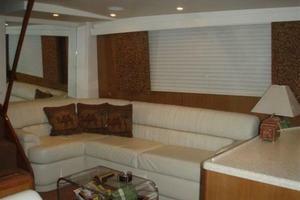 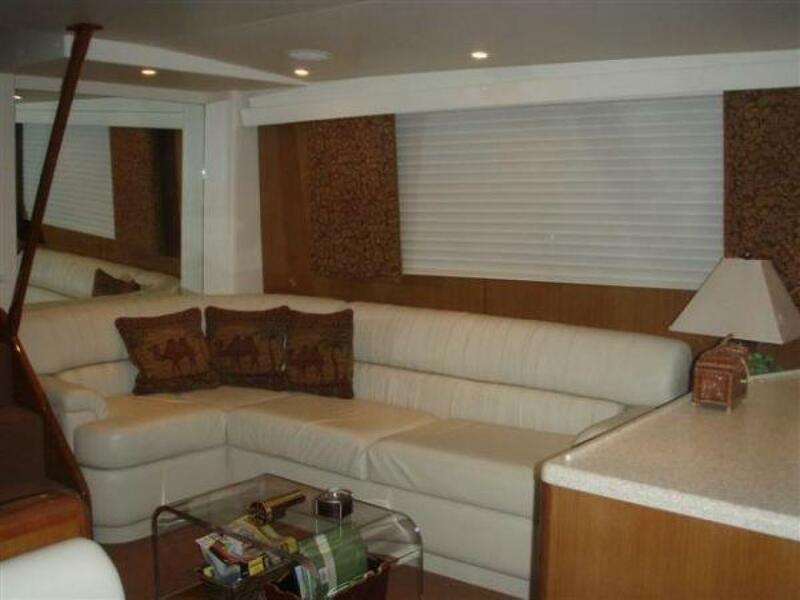 The aft deck has an L-shaped sofa with two occasional chairs, wall-to-wall carpeting, valances/blinds, and wet bar. 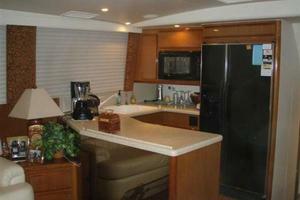 The salon & galley look pristine! 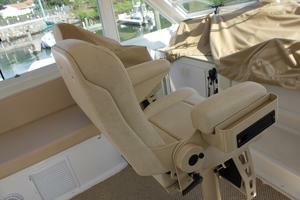 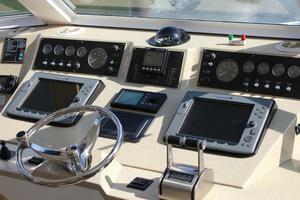 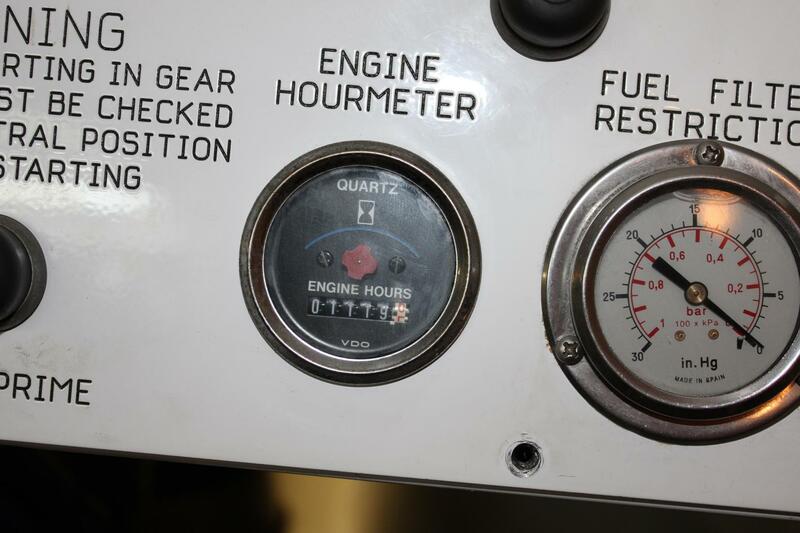 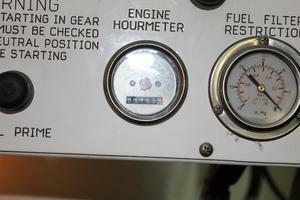 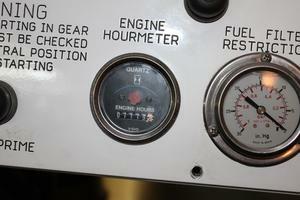 The helm electronics are mounted in Corion and 3 Stidd pilot chairs provide seating for the captain and crew. 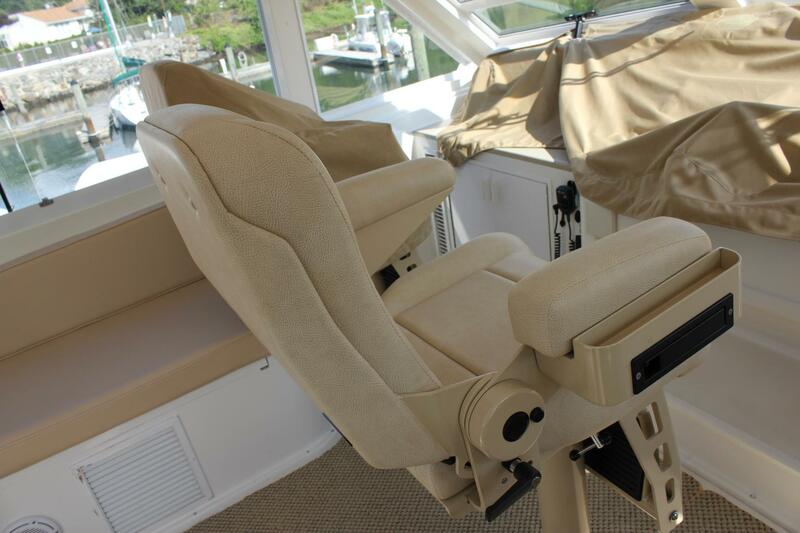 Additional leather seating surrounds the bridge. 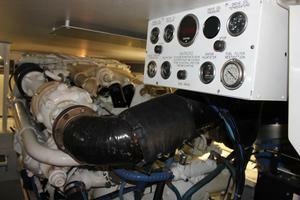 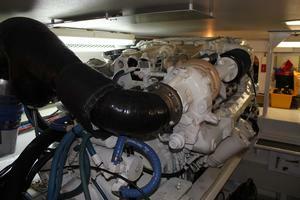 The Onan 20Kw generator and twin 50/250 shorepower services provide power to the ships systems.